Having issues with significant crashing, bug splats or disconnections with Black Ops 4 Error Codes? We've got a list of some simple solutions and fixes. With the recent Release of the Latest Call of Duty it’s only normal for users and new players to experience significant crashes or game stalls due to abstract error codes. Below we’re going to be listing all of the Black Ops 4 Error Codes that we have encountered along with others. We will also try to give an insight on how to fix the Black Ops 4 Error Codes below and how to prevent it in the future. While playing the Latest Black Ops 4. Despite playing Multiplayer, Blackout or Zombies you may encounter game crashes or frozen screens that will then lead to the game closing. These issues may be associated with your Hardware, with your Internet Connection, System requirements and more. List of Known Black Ops 4 Error Codes. Below you will see a list of common Error codes that we have come across, how to fix them and what they potentially mean for your gaming experience on PC. Black Ops 4 140707286852488 Error Code. Players have reported that this error code has briefly shown it self while playing online with others. It may be an issue with the clients connection to the game servers. This results in the screen freezing, the audio looping then ultimately getting kicked out of the game server. Black Ops 4 2430655611 Error Code. Similar to the bug above. This Error can be presented while playing Multiplayer and Blackout with the Latest Call of Duty. It more often than not signifies that a connection has been lost to the client. Some users have reported that this results in a crash to desktop and closes the game losing all progress within the game mode. PlayStation 4 Users have had issues with connecting to the online Game Servers. With a similar Code to above displaying on their screen. Users have also reported that they have tried to ensure that their internet connection is stable. This may be due to the significant demand on the current Game Servers which may clear with time. Be Patient and Hopefully Activision will have a fix for this. Black Ops 4 Negative 345 Silver Wolf Error Code. PlayStation 4 Gamers have also reported a similar issue to the above. However the Code their having issues with are “Negative 345 silver wolf error”. This simply states no details regarding the issue. However the user is not able to connect to the servers and play online. Hopefully we will have a solution for this real soon. 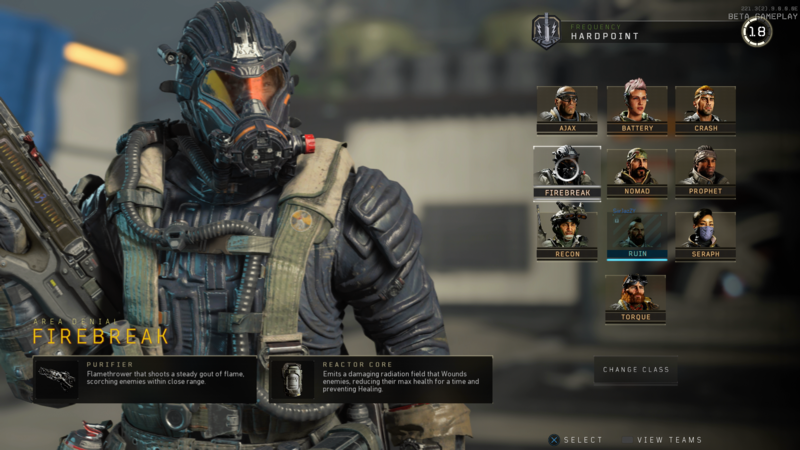 If you’re having issues with Black Ops 4 Unable To Join Lobby then it indicates a firewall issue or connection issue. Be sure to follow the below fixes to help resolve this. However some users have reported that this is more likely when playing BlackOut and Multiplayer. So be sure to try Zombies Mode until you find a reliable fix for the issue. Black Ops 4 Error Codes Fixes. As of yet we’re still looking at how to fix these issues however ensure you attempt the following things below. Ensure that your Internet Connection is stable and connected to the internet. Use SpeedTest to help reveal any potential issues. Ensure no background running programmes or apps are causing the Black Ops 4 Error Codes. High Memory Programmes such as Adobe, Streaming Software, Benchmark software and more should be closed before game play. Restart your Rig & Restart your Client. More often than not most simple fixes can be resolved by simply restarting your Computer. Ensure that any older versions of the client are closed before playing. We will continue to update this Guide on how to deal with the Black Ops 4 Errors above and consistently add new errors which may crop up. It’s important that if you do not find a solution be sure to reach out to Activision on their social media and website to resolve the issue.